Bio: A native of New Jersey, Julie Friedman gained her BFA from Mason Gross School of Art and worked as a designer in New York . 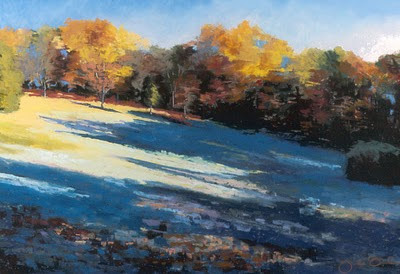 She painted in oils until she studied with Wolf Kahn and was drawn to the immediacy of pastels. Julie is the owner of Artspace Studio & Gallery, a working studio in Morristown, NJ. Navigation: Main menu always available at top of page. Site is up to date. Gallery: Landscapes; and Figures in Landscape.